Tresari Freight Services ( Pty ) Ltd was opened due to major concern of service deliveries and guidance on all shipping related matters. Since its inception success has been realized, where many long term associations with multi-national organizations have been formed. Innovative solutions have ensured that Tresari Freight Services ( Pty ) Ltd are appointed as a preferred service provider. As a company associated with international and national clearing, forwarding and shipping related movements, seamless transformation to the new company has seen our customers enjoying the benefits of specialization in this market. Our motto being – add a little spice to your daily shipping related requirements, with competitive pricing. We offer speedy import and export services via daily flights from all major airports. 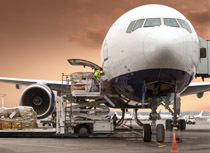 Our air freight services include direct flights, express consolidation and consolidation options. All consignments are managed by dedicated people who take ownership for the smooth flow and management of your goods whilst in transit. 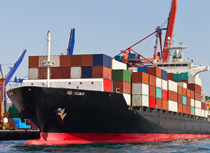 We offer over border & local road freight services to importers / exporters. Our Track & Trace is of key importance and our sophisticated allows us to keep our customers informed at any given time. We offer a comprehensive suite of domestic and International courier services with express delivery solutions. 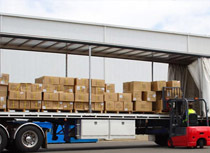 These include SameDay, Overnight, Next Day / Economy and Road Freight services.